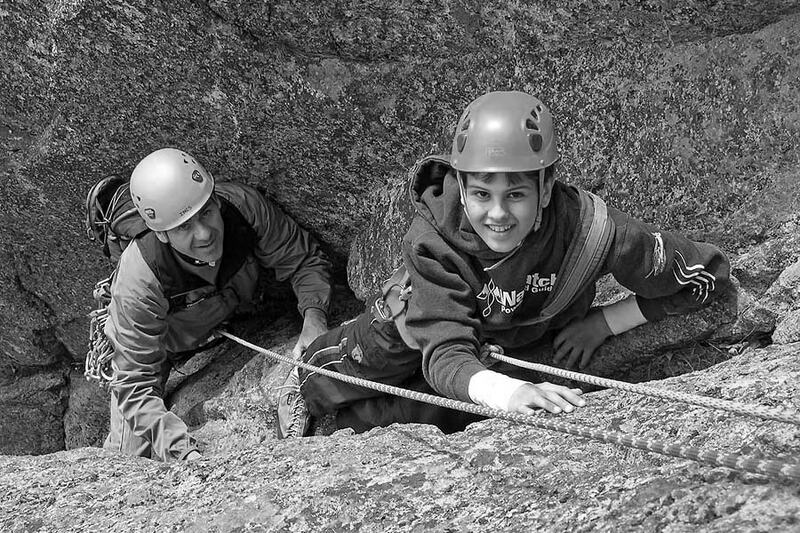 We have been teaching rock climbing to children, teens, families and groups since 1974. All families with children under the age of 18 qualify for our reduced family rates. Our programs and facilities are fully insured and we have all permits required to guide on National Forest and State Lands. 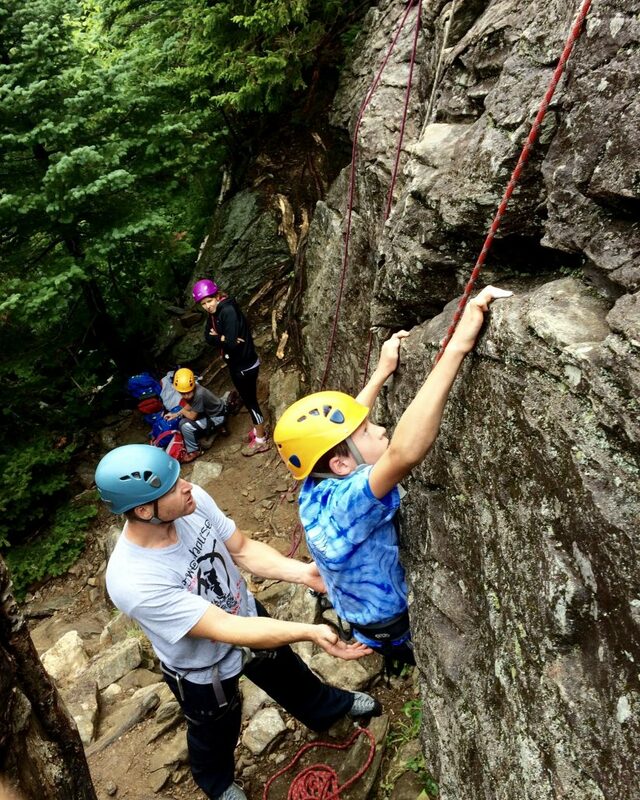 Our professional guides recognize the special care and awareness that is required to provide children and families with a safe and rewarding rock climbing experience. Family climbing is great way to instill confidence in your children, teach them to enjoy the great outdoors and experience the thrill of rock climbing. These programs will need to be booked at least a full day or more in advance so we can assign the best guide possible. We will meet at our retail store (IME) here in North Conway Village at 8:30am. A full day usually runs until around 4 in the afternoon. IMCS will provide all technical gear plus harness, helmet and rock shoes included in course cost. Our most popular climbing program over the past few summer seasons and a favorite with all of our guides. A full day of instruction and climbing. Ideal for families with children 17 or younger with any experience level. 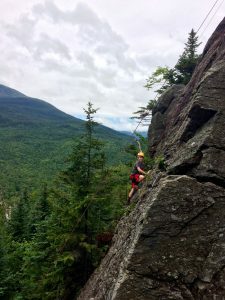 The day is yours and will focus on building confidence on the rock, safety systems, communication, knots, and proper use of equipment, belaying and rappelling. 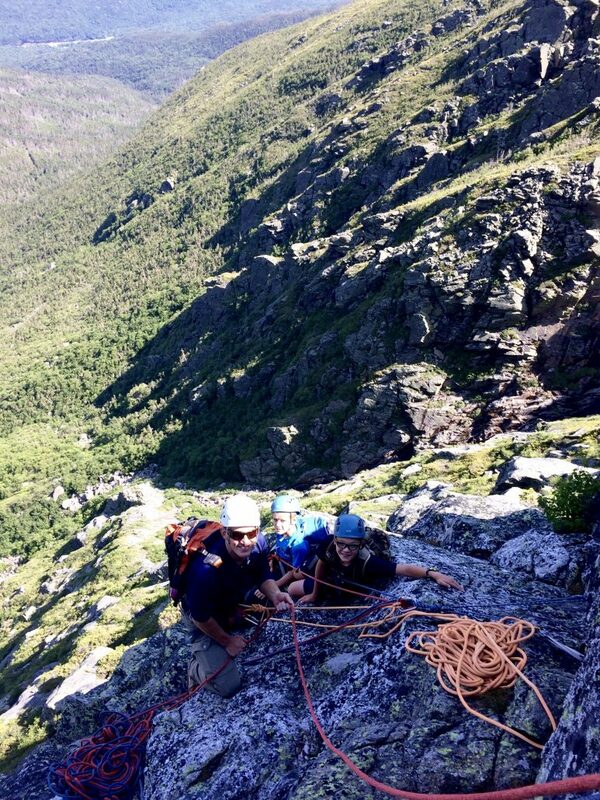 The goal is to promote an enjoyable and successful climbing experience for the entire family. Let us know the ages and experience level of each family member or friend and we can design an exciting day of climbing. A comprehensive introduction to a variety of fundamental rock climbing skills. We will cover anchoring, belaying, rappelling and efficient movement over steeper rock terrain. We will cover a lot of ground over the three days so you can expect to gain many useful skills. This program does not have to be held on three consecutive dates. You may opt to spread the program throughout the rock climbing season. If you have young children or just a full schedule and would like to have your family experience rock climbing, we offer half day programs from 8:30-12:30 and from 1:00-5:00. Half day time slots are four hours, shop-to-shop.